Collaborating with the commercial partnership teams to manage existing and new partner communications, driving commercial outcomes. Creating end-to-end execution of incentives and competitions to drive member engagement. Embedding new partners into our business across the customer journey, launch plans, campaign creative, internal communications and post launch plan integration. Developing and executing integrated campaigns for members and throughout the customer lifecycle, including campaign segmentation, copy and creative. Working closely with the Campaign Analytics team to ensure marketing is targeted, relevant and effective. Leading conversations with stakeholders to balance member experience and revenue goals. 1-3 years experience within a digital marketing role, preferably in eDM or direct channels. Sound understanding of data-driven, digital marketing and marketing automation techniques. Ability and confidence to work on multiple campaigns in an ever-changing, fast-paced commercial environment. Ability to build relationships with and managing key stakeholders to achieve goals. Ability to take campaigns from brief to execution, critically assessing marketing concepts and messaging. Above all else, we are looking for someone who is hungry to learn and flexible to work within a constantly-shifting environment. 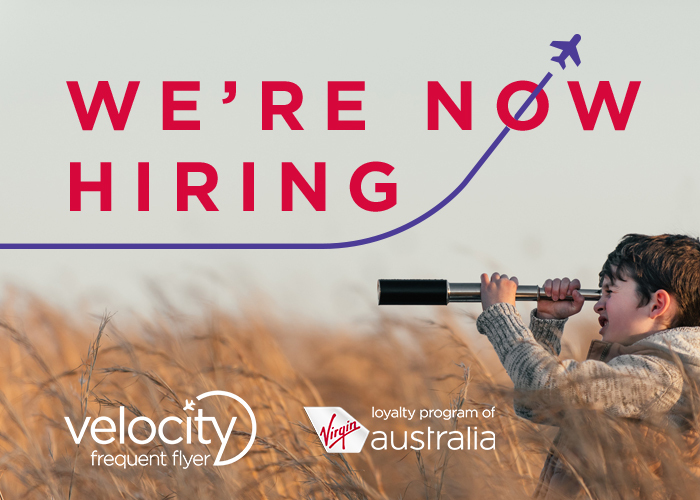 Experience the Virgin Australia and Velocity Culture which is unlike anything else you have experienced. Become part of an internationally recognised brand that feels like family.